Here it is, Jon Stewart's final moment of zen. On Thursday evening Stewart welcomed viewers to his very last edition of "The Daily Show," more than 16 years after taking over the satirical newscast and turning it into an American institution. Stewart was joined by some of the people that made the show special over the years. Former correspondents John Oliver, Ed Helms, Steve Carell, Olivia Munn, and many others returned to say farewell. "I never left, Jon," Carell said. "Becoming an international superstar was just something I did while waiting for my next assignment." There were also videotaped farewells -- some friendly, some not -- from A-listers including CNN's Wolf Blitzer, Hillary Clinton, John McCain, and Fox News host Bill O'Reilly (who called Stewart a "quitter"). Oliver, who now hosts "Last Week Tonight," attempted to deliver a lengthy monologue, only to be interrupted by the threat of an upcoming commercial break. "What the f*** is a commercial?" asked Oliver, whose new show airs on commercial-free HBO. But "The Daily Show" saved the best former correspondent for last: Stephen Colbert. "Is there a party or anything? I brought a lot of people from CBS," quipped Colbert, the next host of "The Late Show." At one point, Colbert went off script, thanking Stewart for being "infuriatingly good at his job." "We are better people for having known you," Colbert said to an emotional Stewart. Stewart ended the show by thanking his staff, fans and family. "This show isn't ending, we're merely taking a small pause in the conversation," Stewart said. "Rather than saying goodbye or goodnight, I'm just going to say I'm going to go get a drink ... so here it is, my moment of zen." This led to one of Stewart's all-time favorite musical acts, Bruce Springsteen and the E Street Band, bidding the host farewell with a performance of "Land of Hopes and Dreams" and "Born to Run." 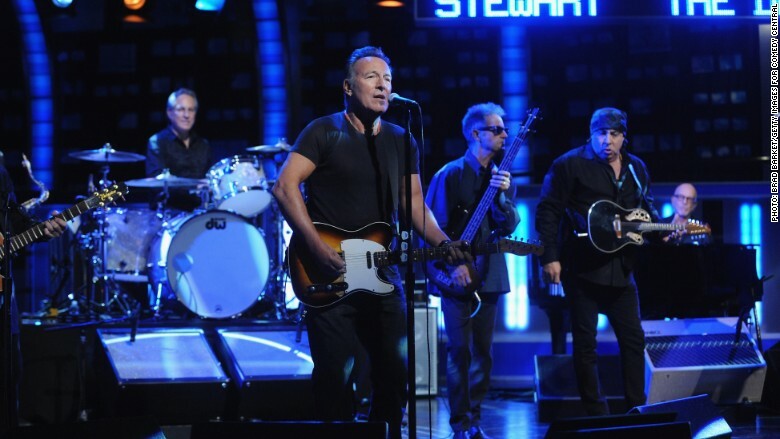 Bruce Springsteen and the E Street Band closed out Stewart's final "Daily Show." 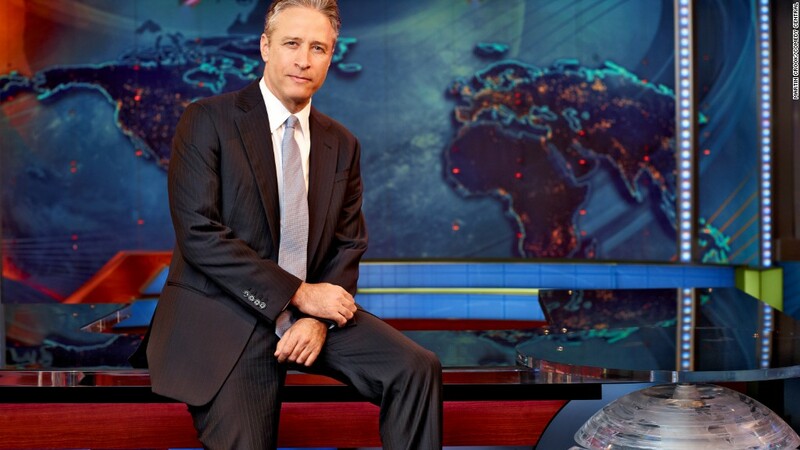 Zahra Meherali, who was in Thursday's audience, called it a "love-fest" in the best possible way, describing how the correspondents showered Stewart with affection. "They were articulating what we wished we could all articulate" as fans, Meherali said. Comedy Central called it the "Jon Voyage" tour, and on Thursday ran a marathon of classic Stewart episodes. The channel also took out a full-page ad in The New York Times to thank him. One of President Obama's Twitter accounts paid tribute to Stewart by quoting what the president said to Stewart a few weeks ago: "You've been a great gift to the country." For Comedy Central President Michele Ganeless, who was in the audience on Thursday evening, the moment was bittersweet as her channel lost a legend. But in an interview earlier this week, Ganeless said Stewart has had no second thoughts about leaving the anchor desk. He's tired of the daily grind and ready for a break, she said, but "I know for sure we have not seen the last of Jon Stewart."